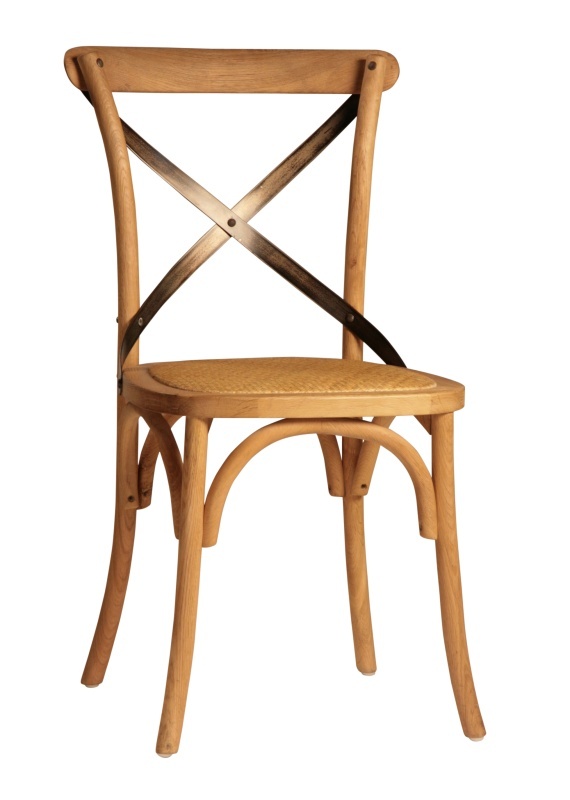 Solid oak frame with steel cross back and a cushioned seat with rattan cover. Natural sealed finish. Seat height is 18″.